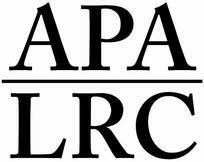 The APALRC holds walk-in clinics in different communities with the help of our legal partners. The APALRC’s goal is to bring its services to communities in need. Clinics have been held in DC’s Chinatown, the Muslim Community Center in Silver Spring, Maryland; a Korean church in Annandale, Virginia; and senior centers in Maryland and DC. At the clinics, law students and volunteer attorneys conduct intake interviews with clients, while legal partner agencies assist with advising clients and accepting cases where clients need ongoing representation. APALRC staff members regularly conduct “Know Your Rights” presentation on issues of special importance to the Asian American community. APALRC attorneys have presented on workplace rights, domestic violence, employment discrimination, language access, and matters related to housing. APALRC staff members also regularly participate in health fairs and community festivals to ensure that those in need are aware of the assistance available through the organization. We hold in-house Naturalization Workshops every second Wednesday of the month from 2:00 PM – 6:00 PM by appointment only. Every first and third Wednesdays of the month from 2:30pm – 4:30pm.